Apart from the puking infant’s nurse and the mistress’ eyebrow, we women don’t get a look-in. In most of your plays you seem to run out of women’s ages once we have got our man. Up to that point you give us such wise and witty things to say and, particularly if we are wearing breeches, you even let us drive the plot, but in the final scene you have us knuckle down to marriage. Then what? Is that where the fun stops? I am now what you would consider a very old woman, and I have felt somewhat starved of your material for the last 10 to 15 years. We seem to be allowed into your stories only as the daughters, mothers, wives or widows of the Main Man. Are you just not interested in our lives? I so want to be included in your wise humanistic embrace. You said that the purpose of a play was “to hold, as ’twere, the mirror up to nature”, but your own mirror doesn’t reflect many women. That’s half the population to a large extent obscured. I do appreciate that you were a jobbing playwright with a living to earn and that, in your day, women weren’t allowed on the stage, and I also understand that women (pace your Queen) were not allowed at the centre of public life, so why would female characters feature at the centre of the drama that holds the mirror up to that public life? So you do have an excuse, but because you were such a genius, we are still doing your plays 400 years after your death, and, because your words are still the highest form of expression of our human condition, we still swallow your plots and social attitudes even though they don’t fit us any more. Dear William, because you are so famous and wonderful, you have cast a long shadow over the theatrical tradition. Despite the fact that the world has changed enormously since your day, the stories we tell about ourselves still tend to follow your template, with male protagonists whose thoughts and actions matter – and females who matter only in as much as they relate to those men. I feel churlish for saying this, but many of us feel excluded, and I would love you to come back and do some rewrites. Nowadays we are challenging all preconceptions about gender, both in terms of personal identification and public roles, so I hope you don’t mind but I have been playing men recently. I am only following your own example. It seems as legitimate for women to play men as it was for boys to play women. My function in the story is no longer constrained by my gender, and I am freed up to play out the general political and moral dilemmas that concern us all. Which is perfectly brilliant, of course, but can you see that the speech itself is about limitation and that Portia defines her “self” (as opposed to herself) wholly in relation to her husband or her father? 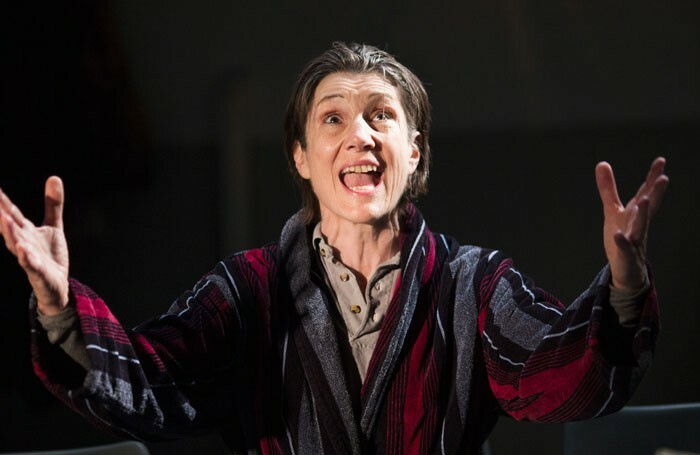 The women in your plays often have a moral clarity that comes from their very exclusion. Being outside the violence, they can comment on it. They can foresee the consequences but are helpless to prevent them from happening. You put their case so beautifully and eloquently, but once they have had their say (usually in one scene) you remove us from the play, and we have to spend the rest of the evening in our dressing room. As Brutus I felt so privileged to play a character whose main concerns were freedom, power, morality and mortality. You may be shocked to see women playing men in battle and murdering their leader – and it was somehow saddening for us that we could ape their behaviour so convincingly – but it served to sharpen the question: is there another way? I wonder if your amazing imagination and understanding of humanity could come up with a new and better path for us. In many parts of the world the attitude to women has not changed since your day, but we are all trying. We women talk among ourselves about politics and philosophy, and many now take an active part on the world stage. We have several women leaders running important countries. Where I live, people from all continents, races, cultures and religions move among one another, intermarry and exchange ideas — admittedly not always peaceably but more successfully than the newsmongers or cynical politicians would have us believe. (and here’s the catch)… about something besides a man. Off the top of my head I cannot think of one example of that in your work. With Olivia and Viola, the subject is Orsino. Emilia tells Desdemona all about men. With the Countess of Rousillon and Helena, it’s Bertram. With Rosalind and Celia, it’s Orlando. When Hero and her women get together in an all-female enclave, you can only imagine them talking about wedding dresses. Ah! I can think of one: Princess Katherine and Alice in Henry V have an English lesson, although you could say the reason for learning is to get a man. I am being hard on you, particularly as so many writers now do no better. I just wonder what you would write for us now. You see, imitating men can’t be the only answer either on the stage or the world stage. When I speak your words, I feel I am having a private conversation with a friend today who is whispering eternal truths in my ear. Four hundred years after your death, we are still acting out your stories all over the world in every conceivable situation and every conceivable language. As you foretold in Sonnet 18, your words will resonate “so long as men can breathe or eyes can see”. Being the most famous Englishman that ever lived, you prove the pen to be mightier than the sword, and you give dignity to my profession. All the world is indeed a stage, and I cannot imagine a world without you. I just wish you had put more women at the centre of your world/stage. Our stories matter not because of our relation to men but because we are members of the human race. To be or not to be, that is a question for us all. 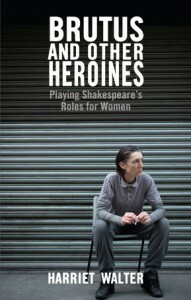 This is an edited extract from Brutus and Other Heroines: Playing Shakespeare’s Roles for Women by Harriet Walter, out now from Nick Hern Books, £12.99 paperback. 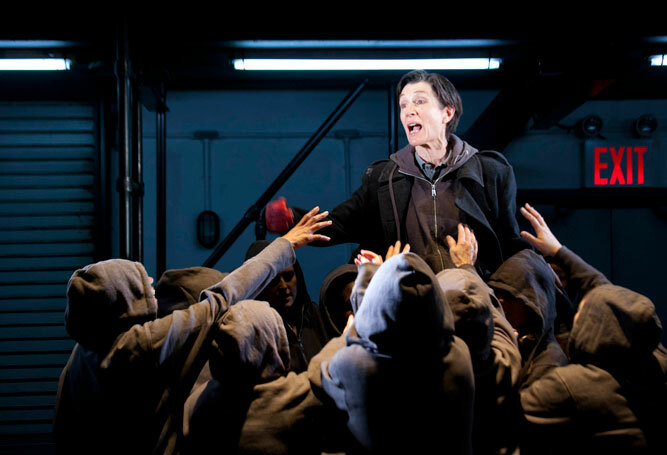 The Donmar Warehouse’s Shakespeare Trilogy is now on at King’s Cross Theatre, London, until 17 December.